WebCrawler is one of the first crawler-based search engines. It was developed by Brian Pinkerton during his studies at the University of Washington. 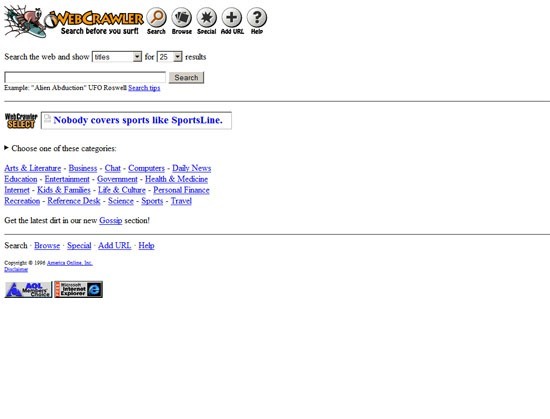 WebCrawler was acquired by AOL in 1995, passed to Excite in 1997 and sold to InfoSpace in 2001. InfoSpace used the name but not the crawler, and switched to a metasearch instead. 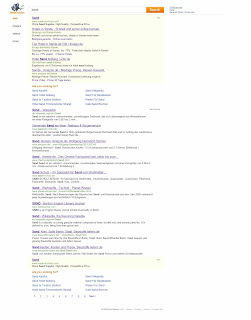 Today Bing is used for the search. WebCrawler Timeline »January 27, 1994 Brian Pinkerton, a CSE student at the University of Washington, starts WebCrawler in his spare time. At first, WebCrawler was a desktop application, not a Web service as it is today. WebCrawler spat out its first Top 25 list on March 15, 1994. April 20, 1994 WebCrawler goes live on the Web with a database containing pages from just over 4000 different Web sites. [...] About a month and a half later, I announced WebCrawler on comp.infosystems.announce, the Usenet group where new Web sites were announced. December 1, 1994 WebCrawler acquires two sponsors, DealerNet and Starwave. Both companies provided money to help keep WebCrawler operating. 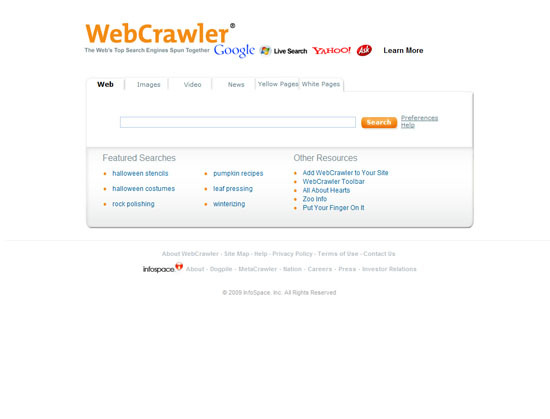 WebCrawler was fully supported by advertising on October 3, 1995 but maintained a strict separation between the advertising and the search results. 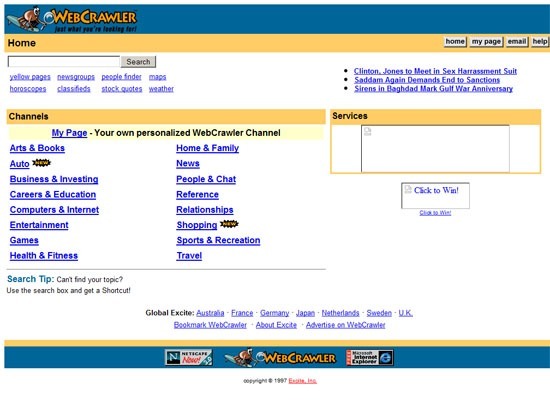 June 1, 1995 America Online acquires WebCrawler. At the time of the acquisition, AOL had fewer than 1 million users, and no capability to access the Web. It was believed that AOL's resources could help make the most of WebCrawler's future. September 4, 1995 Spidey is born. In the first of WebCrawler's many design changes, we moved to a new look, with Spidey as the mascot. Spidey took on many personalities over the years and exemplified the fun, lighthearted spirit that WebCrawler strove for. April, 1996 WebCrawler extends its functionality from pure search to include the best human-edited guide for the Web: GNN Select. Formerly known as the Whole Internet Catalog, GNN Select was the editorial product of a small team of Internet-savvy researchers headed by Abbot Chambers. April 1, 1997 Excite acquires WebCrawler. AOL sold WebCrawler to the Mountain View, CA company Excite. WebCrawler was initially supported by its own dedicated team within Excite, but that was eventually abandoned in favor of running both WebCrawler and Excite on the same back end.